HomeRetro Single ReviewsRetro Single Review: George Strait, "Baby Blue"
Another one of Strait’s smoothest pop Prices for propecia performances, with just enough country touches in the production to keep his traditionalist credentials intact. It’s widely assumed that Strait was drawn to this song because of the death of his teenage daughter Jennifer in an automobile accident, which adds a bittersweet tinge to the proceedings. But even taken literally as a love gone wrong song, it’s a beautiful piece of work. Of the three #1 singles from the album, this is easily the best. 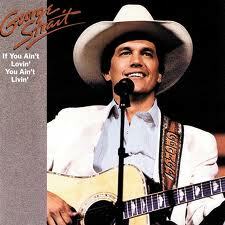 Great George Strait song, timeless.